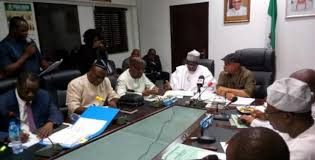 Minister of Labour and Employment, Chris Ngige, says the Federal Government has reached a partial agreement with the Academic Staff Union of Universities (ASUU). But the lecturers said the industrial action remains ongoing, noting that government had in the past made promises that were not fulfilled. Ngige had pointed out that some of the agreements in the Memorandum of Action signed between ASUU and the FG in 2017 would be implemented soon. ASUU National President, Prof. Biodun Ogunyemi, told reporters after the meeting that there was no concrete development yet to warrant the suspension of the strike.